Damiana plant, Turnera diffusa, is an acclaimed stimulant and reputed aphrodisiac. A tonic herb used specifically for the reproductive organs. Consumed in Mexico as tea. Antidepressant. Damiana plant is native to South America, Mexico and the Caribbean. 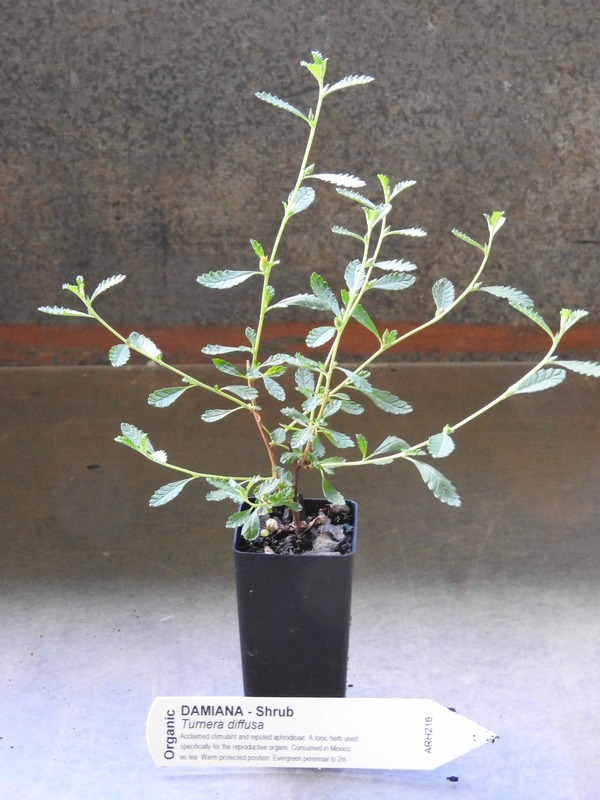 Damiana prefers moist, well drained soil in a protected, sunny position. Drought and frost tender. An evergreen perennial shrub, growing to 2m. Be the first to review “Damiana, plant” Click here to cancel reply.